I’ve been on Periscope for a minute, but last week, I did my first in a series of Lunch and Learns which I hope will educate, inform, and empower my viewers. And since Periscope only allows rebroadcasts to air up to 24 hours after it’s recorded, I saved the video to my Dropbox so I could upload and share here. Many people refer to themselves as personal brands and I am all for that. But I like to use the word movement, because it invokes power and community. When you speak of yourself and what it is you are doing as a movement, it gets other people involved. It becomes an “us” and a “we” thing and less of a “me” or “I” thing. For example, The Cubicle Chick, my personal brand, is named after me, a woman who discusses career and lifestyle. 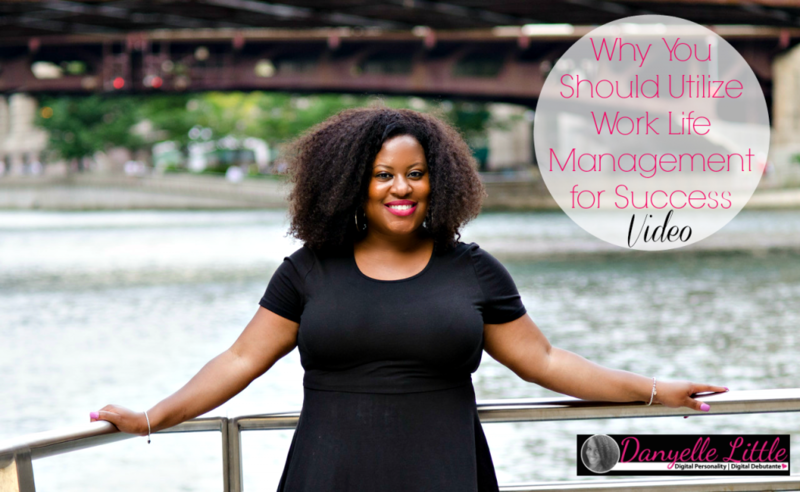 But it has grown into a movement of contributors and readers who want to learn more about being a better working parent while living their best lives personally and professionally. My movement is no longer just about me but others as well. And with your movement, you can make a profit, too. 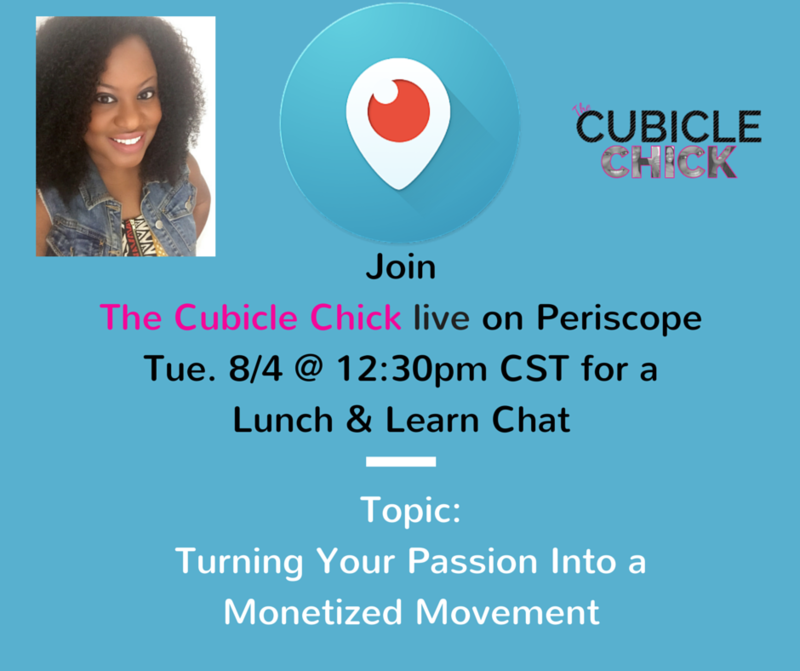 So in this Periscope Lunch and Learn, I am breaking down how you can utilize your passion while turning it into a monetized movement. Watch the rebroadcast of the Lunch and Learn below.